At Carrollton Crossing in Carrollton, Art Meets Excellence. Campus Life & Style is the only student housing management company in the nation to participate in Forbes Travel Guide’s global training platform focused exclusively on luxury hospitality and concierge services. With its vast global reach, incredible expertise, and deep-rooted knowledge of the highest levels of service standards, Forbes Travel Guide Executive Trainers are the world’s foremost experts in service excellence. Each team member at Carrollton Crossing is carefully trained by a Forbes Travel Guide Executive Trainer on the skills and philosophies behind the highest standards of customer service in order to build a strong foundation for exceptional resident experiences. 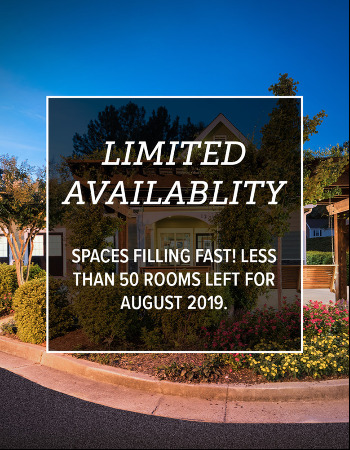 With groundbreaking design and unparalleled customer service, residents can enjoy an exquisite lifestyle like no other when living at Carrollton Crossing and all for an affordable price.